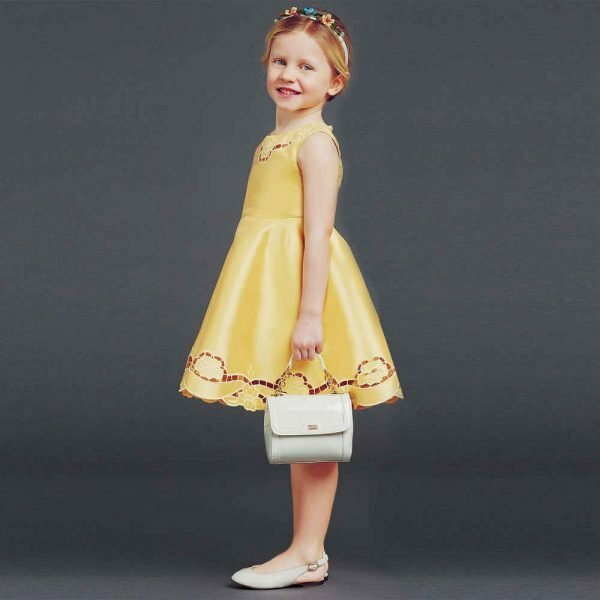 Love this DOLCE & GABBANA Girls Mini-Me Gold Jacquard Party Dress. Gorgeous Special Occasion Dress Inspired by the D&G Women's Collection. 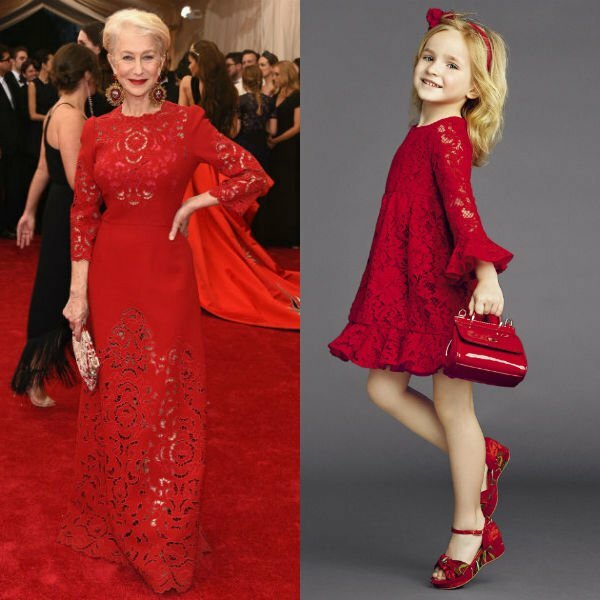 Girls can dress just like Mum in this exquisite mini-me dress by Dolce & Gabbana, with glittery jacquard and decorative buttons. Structured in tiers with a pleated hem, this dress is a sumptuous choice for dressing up. Stunning Gold Dress looks perfect with black Mary Jane Shoes and a matching Gold D&G Girl's Crown Headband.